Lake Woods is a large ephemeral wetland on the western edge of the Barkly Tableland, 7 kms south of Elliott, accessed by an unsealed road. 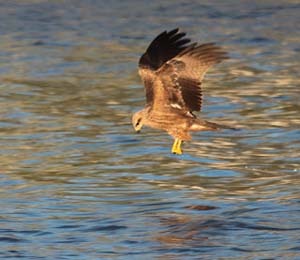 It is a bird watchers paradise, as well as a popular swimming and fishing spot. The Lake is about 350 sq kms, but during high rainfall it more than doubles its size expanding into the lower reaches of Newcastle Creek. It can triple in area and is one of the largest temporary freshwater lakes in the Territory. At times there can be more than 100,000 waterbirds with internationally significant numbers of Plumed Whistling-Duck. Habitats provide breeding sites for several colonies of waterbird species. Large numbers of shorebirds also use the lake for migration stopover, and the near permanent waterholes in Newcastle Creek are a refuge for many species in the dry season. 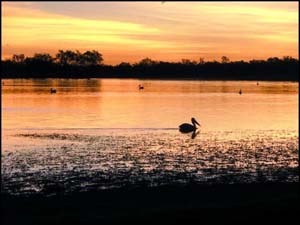 Lake Woods is on leasehold land of two pastoral properties – Powell Creek and Newcastle Waters. 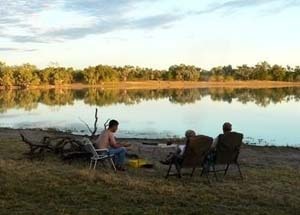 Part of the lake is managed as the Longreach Waterhole Protected Area for conservation and recreation by Parks and Wildlife Service NT in cooperation with the property managers.